Factoid of the Week - Ka-ching!! Lets you save multiple portions of copied text so you can paste them into Word docs. Is easy to use and not clunky i.e. lets you organize your copied text portions so you can quickly find, select and paste the copied text you want to paste into a doc with only a single mouse-click or key press. Works on all currently supported versions of Windows i.e. Windows 7, 8 and 10. Can also store Word-formatted text including tables etc and also embedded files like images and videos. Works well with and across all other MS Office programs including Excel, PowerPoint, Outlook, and OneNote. And maybe also some non-Microsoft programs like Adobe Acrobat. Supports some form of macro/automation language e.g. to create subsets of copied text arranged in a specific order that you can paste with a single mouse click or key press. Lets you store copied text in the cloud so you can use it from multiple machines. Hello Mitch! We have moved on to Win10 but our intranet it still needs IE. So we do not want Edge on our machines! How can we remove?? Or block users from starting it?? I had a few possible answers to help with the questions you asked your audience in the last newsletter. Specifically the question about disabling Edge and Windows Clipboard replacement options. I'll start with the query about how to disable Edge Browser. 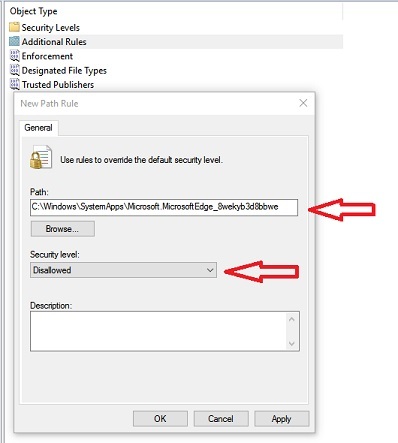 We also needed to do that at our organization because Edge doesn't allow DLP inspection for traffic (after version 1703) and we needed to be able to block sensitive data outgoing from browsers. We had to figure out a way to disable edge before we could start rolling out that update. 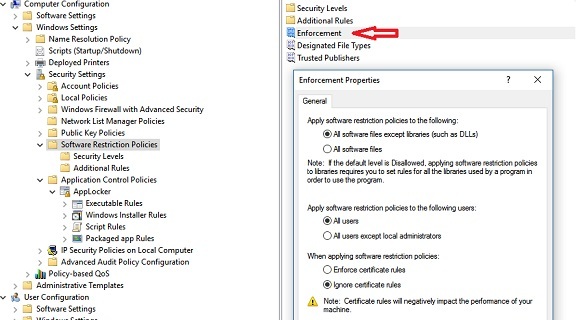 We ended up using the below steps to setup a Group Policy to configure this. It can also be done on the Local Computer Policy to test if GPO isn't an option. 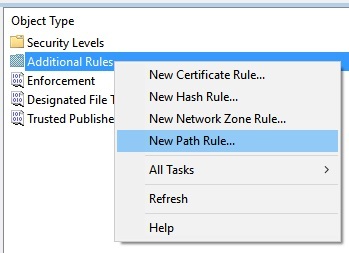 Please right click on "Additional Rules" and select "New Path Rule"
Click "Apply" and check the restriction policy by trying to launch EDGE. You might have to force the policy update using "gpupdate/force" if this was applied using GPO. Now let's move on to the main topic of this week's newsletter. Microsoft has its own Remote Desktop Protocol apps for Windows, iOS, and Android and they're free on each platform's store. But what about third-party RDP apps? What's out there that the WServerNews community like to use? I'd love to hear from what other IT pros think about this. And why you use what you use. Thanks!! They've thought of everything and it integrates with pretty much everything you can think of. I use it for RDP, SSH, web UI's, and much more. The level of customization you can do it amazing. Things like built-in VPN, macros, and different ways to do credential storage make it the best IT tool I've ever seen. Devolutions has the best RDP app hands down. They even have a free version. However, their enterprise version allows you to store all connections in a database and share them between coworkers. It supports more than just RDP, they have integrated with putty, web sites, cisco ASDM, and many other vendors and technologies to support their connections. My team's productivity went up the day we implemented it. I'm a big fan of Devolutions' Remote Desktop Manager. It's been a staple tool for me for the past eight years and hasn't let me down once. The free version is very usable, but I'm happy to pay for the enterprise single user license (currently $149). It runs a good-looking tabbed interface for multiple RDP sessions, and the latest version can run multiple windows with multiple tabs, for those with more than one monitor. Other favorite features include Active Directory Sync, so I'm always up to date with the estate; robust credential management, so I can use minimum access accounts when necessary; and third party tools integration, so access to our other sites and web interfaces is really easy. There's an iOS version too. It's the first piece of software I install when I rebuild an admin machine and if I could hug it I would! By the way, thanks so much for WServerNews, you've been a great help on many occasions. Keep up the great work. Teamviewer! Love it. Multi-platform, and there are diff versions depending on particular use, i.e., non-installable version, unattended version, etc. Even the remote support person can run a version that you don't have to install on your own system, for occasional use. I use Teamviewer it's good. Config is a bit complex to setup. It is not obvious to setup that way. There is some suspicion about their security but so far no definitive proof I could find. You don't have to use their central server if you are suspicious you can direct connect to machines if you have dynamic dns setup or just using only in Intranet setup. I found less CPU overhead on Windows machines compared to other RDP apps. It's a Terminal Services-like remote access solution for Windows, Linux, Mac, iOS and Android. It's fairly professional but not widely talked about as far as I can tell... An undiscovered gem. It's a commercial fork of the previously open-source 'NX' technology. If you have to deal with multiple platforms it's a great option. It also has quite a few advanced options like easy file UL/DL and USB device forwarding (I understand). It's highly performant - very comparable with RDP performance - Maybe even better... Linux users who persist with VNC-based solutions don't know what they are missing out on. There is NO comparison. At Microsoft today, we think of Windows as a service. Cloud-powered Windows Analytics have streamlined the upgrade to Windows 10 Creators Update for our employees around the world. In this IT Showcase session, listen in as Microsoft IT experts share lessons learned, best practices, and tips and tricks. Explore concepts around transitioning to Windows as a service, agile enterprise adoption, and streamlining the adoption approach. Plus, get details on application compatibility testing, upgrading, readiness, and user-initiated deployment. And wrap the course with details on adopting Windows Hello and Always-On VPN connection. Jupiter's Great Red Spot may soon disappear. Any astronomy buffs among our newsletter readership? What's your favorite astronomical story or factoid? Eris Discovered; Pluto Demoted. In January 2005, Mike Brown and his team at Palomar Observatory, Calif. discovered 136199 Eris, a minor body that is 27 percent bigger than Pluto. Eris had trumped Pluto and become the 9th largest body known to orbit the sun. In 2006, the International Astronomical Union (IAU) decided that the likelihood of finding more small rocky bodies in the outer solar system was so high that the definition "a planet" needed to be reconsidered. The end result: Pluto was reclassified as a dwarf planet and it acquired a "minor planet designator" in front of its name: "134340 Pluto." Mike Brown's 2005 discovery of Eris was the trigger that changed the face of our solar system, defining the planets and adding Pluto to a growing family of dwarf planets. Hi Mitch. Thanks for the great newsletter you put together every week for IT professionals. I've been interested in Astronomy since my high school days. I currently own an eight-inch telescope. Unfortunately I don't use it as often as I would like! I try to keep up with astronomy-related news with newsletters and websites. Occasionally I buy magazines (Astronomy, Sky and Telescope). Watch two solar eclipses on-site. Watch some of the planets with a telescope (Venus, Mars, Jupiter, Saturn, Uranus). Watch the moon during different phases, and also some lunar eclipses. Watch the transit of Venus across the sun (next one will be in 105 years). I look forward to many more years of astronomy news and events! Playing the tapes back later and allowing for our own estimated reaction times allowed us to determine the occultation times in Coordinated Universal Time to an accuracy of about a tenth of a second. Question: Where did the pumping gesture used with this expression originate? Take a crash course on Active Directory with Microsoft MVP Sander Berkouwer to learn how to properly deploy, configure and virtualize an Active Directory in Windows Server 2016. A workplace app can be an awesome enabler of productivity and process improvement. Here are tips and suggestions on how to develop an app from brainstorming to rollout. Microsoft in 2018: What does Redmond have in store? Microsoft had its share of hits and misses in 2017. But the folks in Redmond are moving forward with new ideas and new products. An aggressive reconnaissance malware dubbed GoScanSSH malware that targets public-facing SSH servers may be the leading edge of a major cybersecurity attack. Not all Lambda functions are built the same. 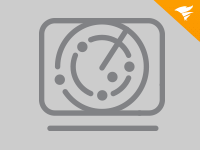 Follow this advice, and implement best practices to account for Lambda limitations and features in Greengrass deployments. Contemplating a move to Exchange Online? Be sure you know what you’re in for when shifting on-premises features, such as public folders, into Microsoft’s cloud. Java developers face new technology challenges regularly, but in 2017, the bar was raised. We’ve rounded up our top 10 Java stories from 2017 in case you missed anything.